Daisy is the new girl at school and desperate to make friends. The story revolves around the relationships which emerge between the 'Alphabet Girls': Amy, Bella, Chloe, Daisy and Emily. Wilson is, as ever, spot on with her characterisation as the five girls, in turn, arrange 'sleepovers' for their birthdays. 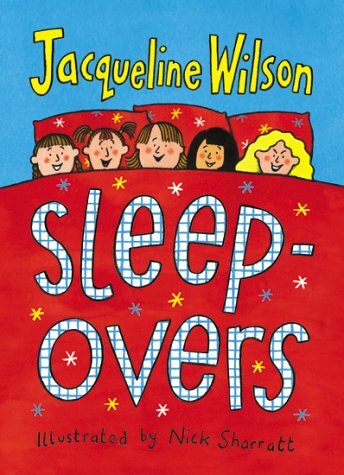 As each sleepover takes place, Daisy becomes more and more anxious about her 'family secret' - she has an older sister, Lily, who was brain-damaged at birth and is wheelchair bound. Daisy hasn't told anyone at her new school about Lily. She is particularly worried about how Chloe will react and hopes to arrange a sleepover without inviting her. Unfortunately, Daisy's mum has already invited Chloe. The reader cannot fail to share Daisy's anxiety, so expertly is this theme developed and given an unexpected twist. This is a sensitively written and simply but effectively illustrated book from the author who has had outstanding success with Double Act, The Illustrated Mum and The Bed and Breakfast Star.